When you open or buy a business, one of the goals that’s probably going to be top of mind for you is making the venture highly profitable. While this is nice when it comes to giving you a sense of satisfaction, enough money to do what you want in life, and the ability to keep growing your organization, it pays to think about ways to give back so you can feel good that way too. Once you’ve established your business, or are on the way to doing so, it’s nice to use your organizational power to do good. And you won’t be alone if you make that decision. After all, check out many of the top companies across the globe and you’ll see many of them have charitable foundations set up, or are part of projects or partnerships that work to help the voiceless or otherwise less fortunate. For example, big companies such as Virgin, GE, Walmart, Chevron, and Amazon are putting their time and money into worthwhile charities, as are smaller but just as committed firms like TOMS, Patagonia, North American Bancard, FEED, Vertical Response, and Warby Parker. There are numerous ways you and your team can give back, from donating time and money, through to giving away company products, mentoring people, sponsoring projects, and more. If you’re thinking it might be time to get involved like this, read on for some reasons why your business will benefit as a result too. These days, employees are very focused on finding meaning in their work, particularly the younger generations. As such, if your business gives back, this will help staff members to feel good about where they work and the impact being made. This improves company culture by boosting employee morale and job satisfaction, and engendering more respect. It also makes it more likely that your organization will be able to attract the best job candidates too, as people tend to look at the charitable contributions of businesses when deciding which firm to join. 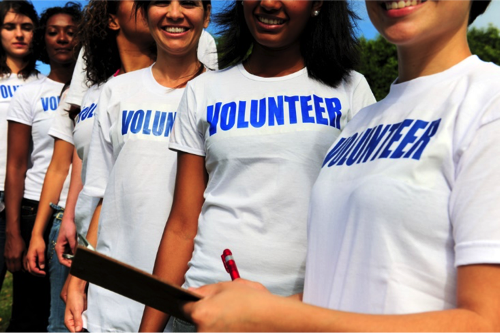 It’s important to enable employees to get involved in the charitable process in some way. For example, give team members accumulated hours or days off from work throughout the year where they can spend their time helping out charities, or offer to match the donations they give to the needy. You can also have employees decide on the charities which will be supported by the company each year, and work on arranging and running fundraisers. One of the main reasons many entrepreneurs and managers decide to give back is that doing so also happens to be a brilliant way of getting additional marketing exposure for their businesses. When you support good causes, you get more eyes on your message and business name without actually pushing your products or services via advertisements and other strategies. You might like to consider sponsoring a cause, specific event (or program of them), or some other type of charitable act. This way, you’ll be given numerous press opportunities where your brand name is mentioned in a favorable light. You will also likely be able to specifically mention your products or services are various stages, in a way that is genuine, and likely to be noticed more by potential customers. To really get the most beneficial marketing impact from these endeavors, try to align with not-for-profit organizations which somehow connect to the ethos or wares of your business. For instance, if you sell products or services for children, select a charity that benefits children. It’s even better if that charity works in the areas in which your business sells it offerings. It is always good to boost your local community too. Lastly, note that charitable giving gives you wonderful opportunities to network more extensively. When you donate your time by sitting on boards or volunteering at events or for day-to-day operations, you have the chance to meet and build relationships with a wide variety of people, many of whom you otherwise may not have had the chance to get to know. These people may end up becoming great business contacts for you over time. You might connect with potential clients, suppliers, employees, partners, mentors, contractors, and advisors. Furthermore, when you meet these people, you’ll automatically know you have something in common to talk about and connect on. Plus, a bonus is that people will be able to see you in a relaxed, less business-y light. This means you can develop relationships in a more natural, organic way, and people won’t feel like they’re being sold to.